Dee David & Co. LLC, (VA) - Full Service Kitchen and Bath Design Remodeling Firm, CKD, CKB, Experienced Staff, Fall Church, Virginia. 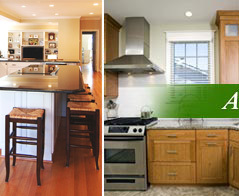 Dee David & Co. is a full service kitchen and bath design remodeling firm, established in 2001 by Dee David, CKD, CBD. She brings more than 40+ years of experience with a reputation of professionalism, dependability, and attention to detail. We believe that the best decision is an educated decision. As an active member of the National Kitchen and Bath Association, our designers constantly grow their pool of knowledge with information on the latest product innovations, trends, and design guidelines. We infuse that knowledge in our designs to create functional, safe, and stylish kitchens and baths. We also make sure that you feel fully confident in your knowledge of product options, styles, and materials, so that the selection process culminates in a kitchen or bath that supports with your family’s needs. Throughout her over 40+ year career, Dee has been an active member of the National Kitchen and Bath Association (NKBA) both locally and nationally. She served as Chapter Representative and on the Board of Directors for three consecutive years. Dee has also been on the Kitchen and Bath Advisory Board for Virginia Tech University since 1992 and has taught consumer kitchen and bath design classes in Fairfax County since 1988. Dee has been published in Plumbing and Mechanical Magazine, The Washingtonian, Signature Kitchens, The Washington Post, and has had six segments on the Home and Garden Channel. An award-winning designer, Dee takes her clients’ ideas and needs and combines them with innovative designs that achieve the best use of each space whether it is existing, modified, or increased in size.